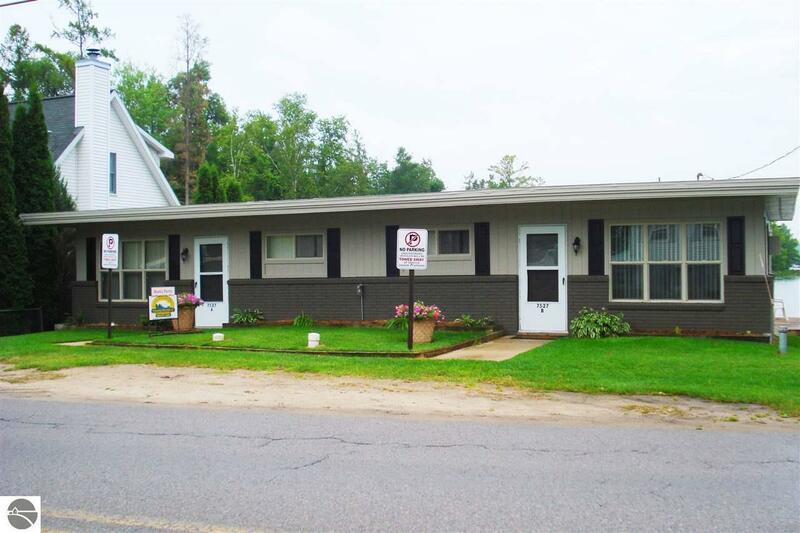 GREAT rental history with this freshly painted, new carpeting (2Br, 1Ba x 2) duplex unit at the south end of Torch Lake on the Bayou with a (52' x 31') 5-Covered Slip Boat house and permanent dock outside on public access to the Torch Lake Sand Bar right across the street!! Owner rents boat slips out in addition to keeping two slips, one for each side of the duplex for the renters. Boat Torch Torch Lake and the entire Lower Chain of Lakes right from your own private boat house! Torch Lake Sand Bar right across the street! Waterfront Details: Inland Lake, Public Lake, All Sports, Priv Frontage (Wtr Side), Sandy Bottom, Yes, 56 Ft.